Memphis, Tennessee is justly known for its dry-rubbed barbecue ribs. But that’s all right, after driving 500 miles to get to the birthplace of rock-and-roll I was there to see Elvis stuff so I thought, “What would Elvis eat?” Among other things, Elvis loved his banana pudding but he also had a sandwich named after him. 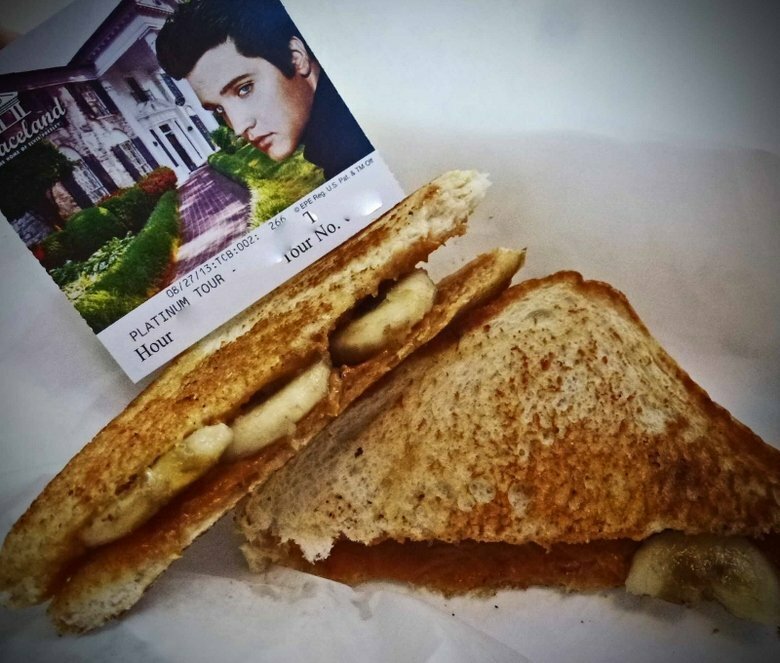 “The Elvis” is a griddle-fried concoction of peanut butter and sliced banana on white bread. Sometimes he would surrender to temptation and add bacon to it. In his mind it sure beat a hot dog, or a hound dog too for that matter. If you ask me, the best place to try an “Elvis” is at Rockabilly’s Diner right across Elvis Presley Boulevard from Graceland. Despite the crowds I was first in line when I placed my order. I asked if they could add just a little bit of bacon but alas, the “Elvis” at Graceland is served baconless. The sandwich was pretty good, the warmed peanut butter melting into the creamy banana. It even got my taste buds all shook up. Any day now I imagine a chain of Elvis-themed restaurants will open up and start serving it. 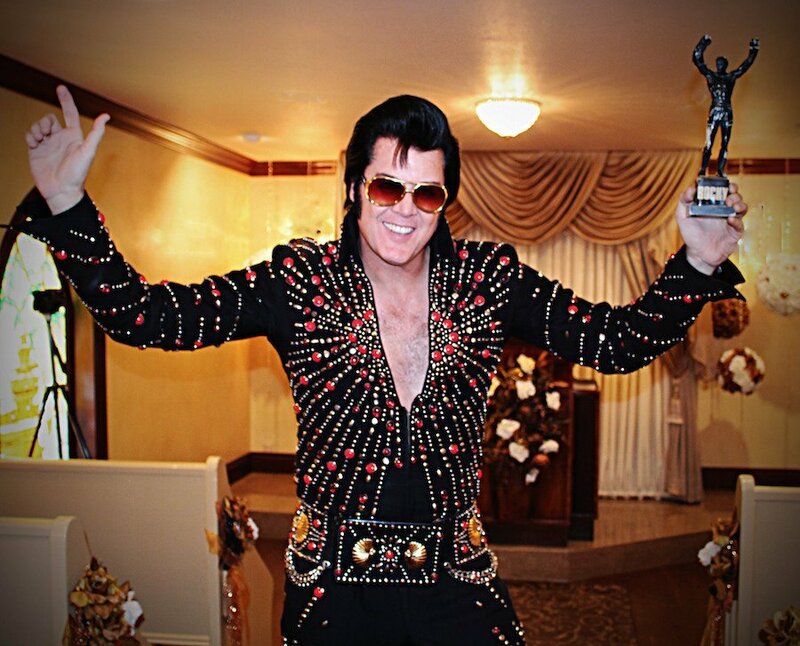 Suspicious minds might have noticed that there are 12 Elvis song titles in this post. Can you spot them? It’s now or never. Here are the top Elvis items on Amazon.